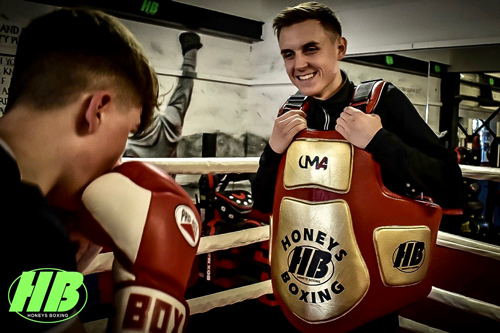 My name is Joe Honey and I am the owner of Honeys Boxing. 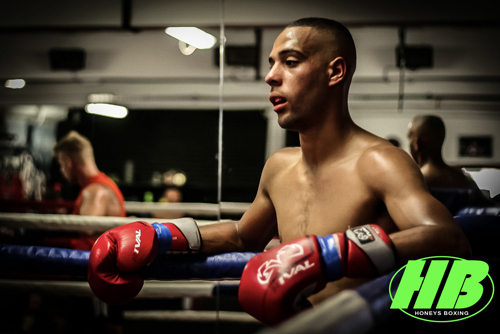 I started boxing when I was just 12 years old and represented canvey amateur boxing club. When travelling the world in 2011, as part of a year long trip, I found myself coaching boxing in Melbourne Australia. I competed whilst I was there for Pro-Fit Boxing Club for 8 months and won The Victoria State Novice Championships. I then continued my travels through Asia. 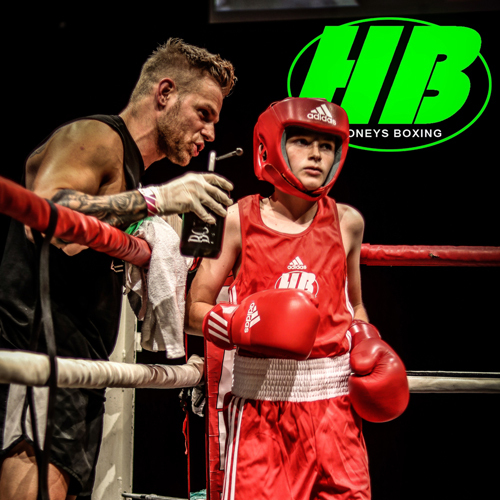 When returning home In 2012 I started my own fitness business called Honeys Boxing in an existing gym. Through hard work and passion I was able to open up my own gym just 2 years after launching my business. I have been coaching boxing and personal training since 2011 specialising in; self defence, body fat reduction & muscle toning. I tailor my sessions to each of my clients specific requirements and goals. I have a reputation and passion for delivering outstanding results, as well as making a positive uplift to my clients lifestyle. My name is Deborah Roberts and i'm a level 2 fitness instructor & level 3 personal trainer. I'm also a boxing teacher, having boxed competitively myself since 2014. I specialise in boxing coaching and body transformations. I believe that fitness goes way beyond aesthetics. For me, fitness is about empowerment and about feeling amazing, both inside and out. As a mum of twins, I've known what it is like to feel unhappy with your body and to lack confidence, but boxing changed my life. Not only did the weight drop off me but I also discovered a passion for the sport and best of all, a massive boost in self-confidence which helped me overcome old, negative patterns that had previously held me back. My aim is to use my own personal experience to help others make incredible changes in their lives and overcome obstacles they never thought possible. My name is Charlotte Carr and I’m a qualified Physical Education Teacher, with experience working with primary, secondary school children and adults. I have recently competed in Pure Elite fitness competition. Placing first place in Bikini Short and International model categories. I further received a Pro Card. I specialise in weight loss, fat loss, muscle development and toning. Furthermore, incorporating boxing for fitness improvements and fun! From my own experience in training and competing I tailor each workout and plan to meet the demands of the individual and use innovative ideas to keep workouts interesting, engaging and enjoyable. I provide work out plans to ensure your goals are achieved. From my experience of working with a wide range of people I found that fitness is a powerful vehicle for a holistic change not just physically but, mentally and socially. Also, building self-motivation and confidence to overcome barriers we thought would never be possible. My name is Brad Cheek. I am a qualified level 2 gym instructor, and am currently undergoing my level 3 personal trainer qualification. I consider myself a highly energetic individual, with a passion for helping people to achieve their goals. After returning from a backpacking trip to Thailand in 2017, I decided that I wanted to pursue a career in the fitness industry so that I could help others achieve the same transformation that I have made both physically and mentally. In July 2018 I competed in my first ever boxing bout and came away with a points win. It was from this experience I learnt that with hard work and commitment, anything is possible, and i'm looking forward to plenty more challenges ahead. I specialise in boxing, general fitness, weight-loss and muscle-toning/gaining. I use boxing as a form of training for my clients, due to its therapeutic release and its huge health benefits. Each personal training session is tailored to every client's individual needs, and ultimately works toward their end goals. Hi, my name is Jay Freestone and I'm a qualified level 2 gym instructor (currently undergoing my level 3 personal trainer qualification). I'm very enthusiastic, and I love helping/watching people progress and achieve their personal goals, while having fun at the same time. I've had two competitive fights for HB, both of which I won (one on points and the other, a 2nd round stoppage). During the training camp I changed both mentally and physically and I am fully aware that training hard and eating right keeps you motivated, happy and most importantly, healthy. I love training and always strive to better myself and beat my personal bests - it helps me to grow as a person but also enables me to transfer my knowledge over my clients during their sessions. I specialise in boxing coaching, general fitness and weight loss. 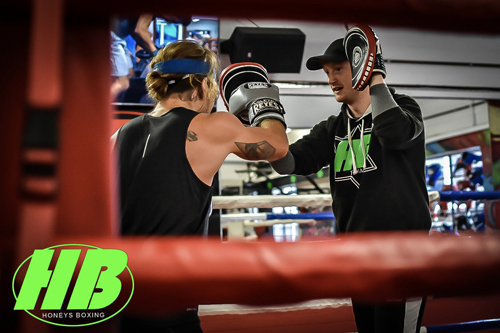 While I do tailor every session to the individual client, I also like to include some form boxing because it adds an element of fun and also has extreme health benefits. My name is Luke Nash. I first joined at Honeys Boxing as a member, in 2015, and immediately discovered a love and passion for boxing that I never knew I had. Initially I joined the gym to improve my fitness, and while I loved the training itself, within a year I had taken part in my first competitive bout. Since then I have gone on to win all of my six fights, even picking up the Golden Gloves silver welterweight championship title. I strive to get the very best out of each client I train, so that they too can experience the same drive and success that I've been fortunate enough to experience. I specialise in boxing coaching and general boxing fitness. I also like to give back, and so in my spare time I volunteer with the kids classes. My name is Georgia Wright. I am qualified Level 2 Gym Instructor who is currently under going my Level 3 Personal Training Qualifications. I am very passionate about martial arts as I started karate at the age of only 4, gaining my black belt at the age of 10. I then went on to kick boxing at the age of 14 and then discovered Honeys Boxing in 2016 where I have been training regularly ever since. 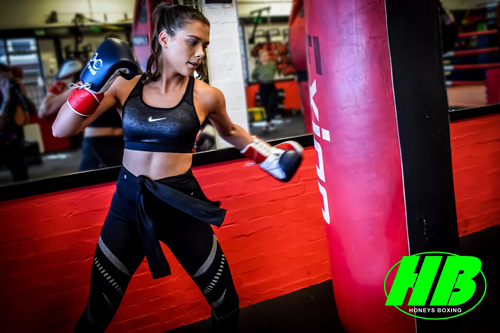 After many years of exercising I’ve discovered the best way to exercise is to do something which is fun and that you enjoy and that is exactly what I’ve found at Honeys Boxing. I specialise in boxing fitness and body fat reduction / toning. I’m eager to help people change their lives for the better physically and mentally.